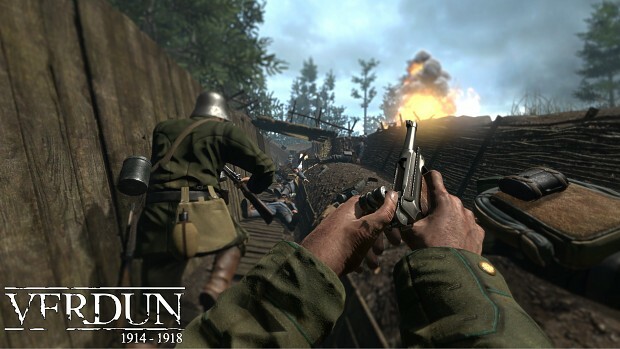 Verdun is the first multiplayer FPS set in a realistic World War One setting, the game which started the 1914-1918 WW1 Game series. The merciless trench warfare offers a unique battlefield experience, immersing you and your squad into intense battles of attack and defense. The game takes place on the western front between 1914 and 1918, in one of the bloodiest conflicts in world history. The developers were inspired by the infamous Battle of Verdun France in 1916. The game includes many historically accurate features such as realistic WW1 weaponry, authentic uniforms and maps based on the real battlefields of France and Belgium.